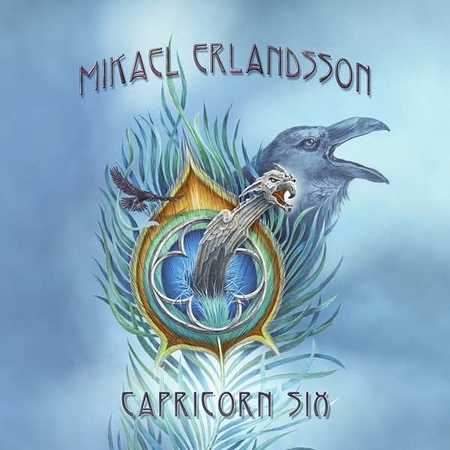 “Capricorn Six” is the latest solo album from Swedish singer Mikael Erlandsson and it was released on 22nd February by AOR Heaven. Erlandsson has recorded with number of bands over the years and has an extensive album discography dating back 25 years. The last time time I did a recommendation that he featured in was probably for the two albums released by Lover Under Cover in 2012 and 2014. “Eye of the Hurricane”, the opening track from the new album, was featured on the Friday NI Rocks Show on 15th March. Erlandsson’s musical career dates back to the late 70’s but his first album release was with the band Crash in 1993 and he released a number of solo albums during the 90’s. He went on to front the band Last Autumn’s Dream who released their first album in 2002. The band have continued to release albums on a regular basis ever since – the latest (and fourteenth) studio album being “Fourteen” which was released last year. Around the same time that Last Autumn Dream formed, Erlandsson also started working with Swedish musician and producer Tommy Denander on a number of different projects. In 2016, Erlandsson (as Mikael Erlandsson and the Universe) released “Universe”, his first ‘solo’ album since 2003. He has now followed that up with “Capricorn Six”. There are ten tracks on the album, including some really outstanding rock songs as well as a few more melodic offerings. Performing with Erlandsson are guitarist Sayit Dölen, drummer Pontus Engberg and bass player Joel Starander.